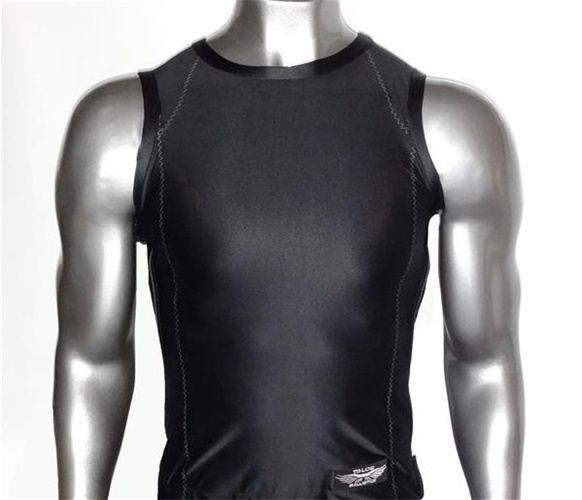 The Talos Ballistics NIJ IIIA Bulletproof Fenix Ballistics Base Layer (BBL) is built to offer not only NIJ IIIA level bulletproof capabilities, but also comfort and freedom of movement. Each garment is custom created for its wearer for a perfect fit. Side zippers provide ease when donning and doffing the Fenix BBL. For use in the most intense covert situations or when needing some added security, the Fenix base layer has a virtually invisible ballistic signature, making it the perfect choice for law enforcement, according to the company. Constructed of a high-tech super stretch compression tricot, it has built-in bi-directional stretch qualities to improve freedom of movement and ensure comfortable, long-lasting fit with MaxDri Moisture management and Micro Blok anti-microbial finish. The surface is treated to absorb moisture, while the core repels moisture. The combination lifts moisture away from the skin toward outer clothing layers. According to Talos Ballistics, state-of-the-art DuPont Kevlar technology enables the company to produce the custom made Talos Ballistics Fenix BBL with bulletproof panels that are one of the thinnest, most light weight, flexible, and discreet, panels available in today's market, and the Fenix BBL offers extreme impact protection while only weighing approximately 4lbs +/-. For more information, visit https://talosballistics.com.